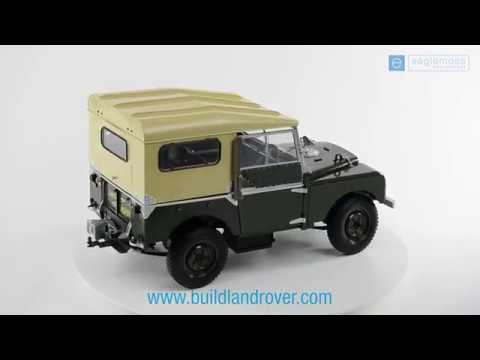 Customise your model for only £1 extra per issue, and get the parts to build an authentic Land Rover Series 1 mobile welding plant. Every issue comes with a new set of detailed parts for your Series I model, PLUS a 16-page fact-filled magazine, containing clear step-by-step instructions on how to build your model. Each accurately rendered part has been meticulously matched to an original 1951 Series I. 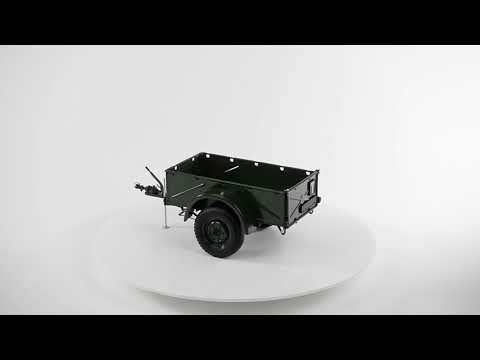 To see how easily the parts slot into place, check out the 3D videos on www.buildlandrover.com/videos. Each week’s photo-packed magazine provides all you need to create and customise an authentic Series I model, while also exploring every aspect of the all-terrain 4x4. Build your own Series I model with the aid of easy-to-follow step-by-step instructions and colour-coded 3D illustrations that guide you through each stage to ensure a perfect fit. 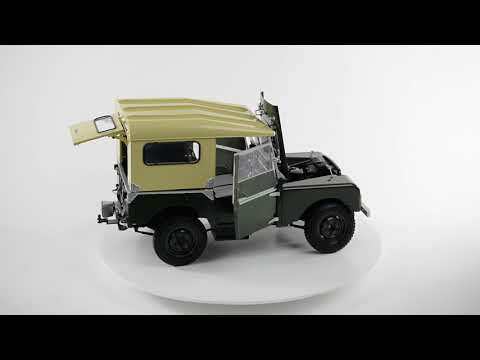 Unfold the eventful Land Rover story, spanning more than 70 years of technological innovation and design breakthroughs, from the first blueprints to the current production line. Experience the drama of all-terrain expeditions, from the ground-breaking trails of the 1950s through to today’s high-profile Dakar Rallies and Camel Trophies. Mobile, flexible, unstoppable, Land Rovers make ideal rescue vehicles for rapid relief worldwide. Discover how Jaguar Land Rover has partnered with relief charities, such as Born Free, and how Land Rovers have been modified to serve as ambulances, fire-fighters and other rapid intervention vehicles. 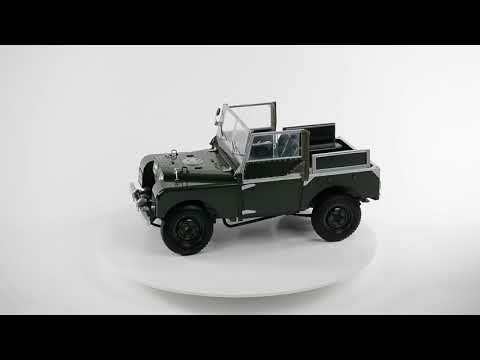 The go-to Land Rover is widely rated as the world’s most flexible car. 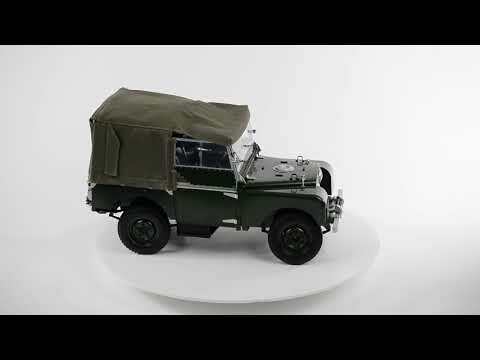 Find out exactly why in Landies in Action, which explores the full range of can-do, “do-anything” Land Rovers. 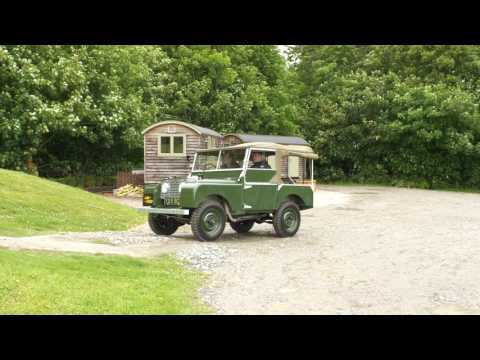 The 15cwt (762kg) Brockhouse Trailer was purpose-built from Land Rover components. The tie-on canvas top was designed to protect both crew and cargo from changing weather. The indispensable self-recovery winch was driven from the engine by the front power take-off (PTO). The rear power take-off and winch are protected by a faithfully replicated guard plate. Ideal for wintry mornings, the Clayton-type cabin heater was sold as an extra comfort from 1949. Sitting on the wheelboxes was no fun, so these padded folding seats became a welcome extra. Front-mounted traffi cators for signalling left- and right-hand turns became popular in the 1950s. To free up the loadspace at the back, your spare wheel can be mounted on the bonnet plate. Optional from early 1950, the hard top came with windows for export, but with plain sides for the UK. Hook up your trailer with the neat ball coupling to see how smoothly it rolls along in the same tracks as your model Series I. When you want to park the Landy, just release the collapsible drop leg. First offered in 1949 as a “genuine accessory” of “inestimable use”, the Brockhouse Trailer was a popular carrier. Built in strong but light pressed steel, its maximum load was rated at 15cwt (762kg) under “normal conditions” and 12cwt (609kg) for “rough conditions”. A boon was the patented ball coupling for an easy link-up with the towing vehicle. The trailer also benefited from the same track as the towing Landy, so it could easily follow in its ruts – try it out on your model. Lift the bonnet, open the windows, turn on the rear lights and park the trailer – your replica Series I comes with a full range of smoothly functioning features. The front, rear and brake lights can be turned on and off. For the front and rear lights, toggle the switch by the driver’s seat. For the brake lights, press the brake pedal. Sturdy coupling, replicating the original, lets you hook your trailer on and off at the rear. Just unclip the fasteners to release the bonnet. Then prop the hood open on a hoodstick to inspect the detailed engine inside. Your model’s four wheels are all fitted with realistic suspension for a smooth and springy effect whether stationary, turning or rolling along. Pull down the drop-leg to park the trailer. Pull it up again when you want to move off. Swing open the driver’s door to turn the steering wheel right and left. You’ll find that you can steer the front wheels through 15 degrees. The spare wheel can be snugly clamped at the rear between the two bench seats, or it can be clipped onto the bonnet’s die-cast wheel plate. To pull down the windscreen, release its clips and lower it onto the bonnet’s authentic black buffers. 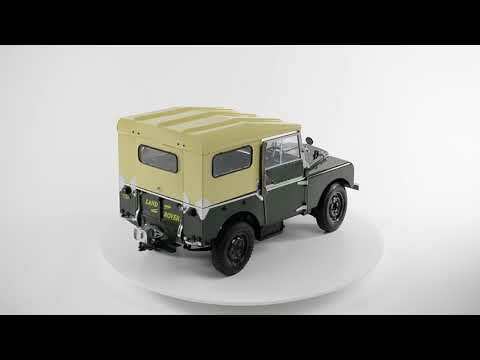 In this issue you assemble the bonnet of the iconic Land Rover Series 1 and construct the support for the spare wheel. In this issue you assemble the headlights and fit the grille to the grille panel, as well as attaching the Land Rover nameplate. From farmyard runabout to mobile fire fighter, from Forest Rover to safari explorer, the all-terrain, “do-anything”, “go-anywhere” Series I easily ranks among the world’s most dynamic and desirable four-wheel-drives. The first farmyard all-rounder, able to do just about everything. All aboard the 7-seat, 80in Tickford Station Wagon, ideal for country trips. Go just about anywhere in the rugged and roomy 86in, with space for cargo and gear. Even roomier, the all-terrain 109in pickup, ideal for “probable and improbable” jobs. Plough through floods and fields in the all-weather 86in Station Wagon. Go on safari in the 10-seat, 107in Station Wagon with sleepers for two. Break new ground on overland trips in the 86in off-road explorer. Hitched to a snow-blower, the 107in mobile power plant makes light of snow. The compact fire engine was equipped with a mobile pump and 40 gallons of water. Hop in for greenlane tours and crosscountry trials in the evergreen Series I. Among the first "prestige brochures" printed for the Series I Land Rover, this photo-packed pamphlet showcases the marque’s versatility across five popular models, ranging from the compact 88in fire engine to the roomy, 10-seat 107in station wagon. Click on the image to view the interactive brochure. 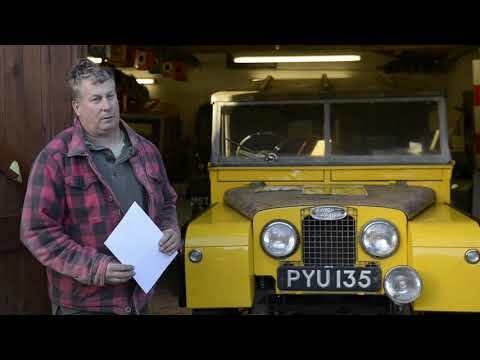 Ever wondered what it’s like to drive an original Series I? Take a spin with Mike Bishop on a live test drive in a Reborn. The pricing in the UK is: Issue 1 £1.99, Issue 2 £4.99 and from issue 3 onwards £8.99. If you would like to subscribe you can do so via our subscribe page. We will replace all your issues with the correct copies. 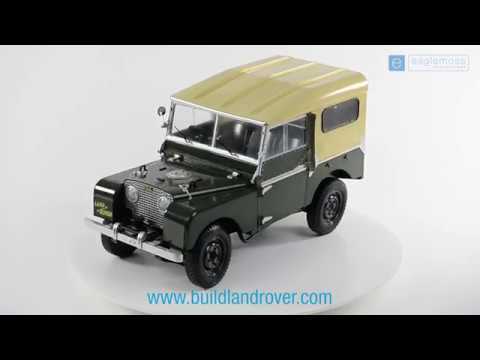 Please post your incorrect copies to Build the Legendary Series 1 Land Rover, Database Factory, Unit 4, Pullman Business Park, Pullman Way, Ringwood, Hampshire, BH24 1HD, with a note including your name, address, subscriber number and which issues you should have received. Alternatively, you can contact our Customer Services Team on 0344 472 5219 or email [email protected] Please include your name and subscription reference in the subject line. You can cancel at any time giving 28 days notice - please contact our Customer Services Team on 0344 472 5219 or email [email protected] If you email the team, please include your name and subscription reference in the subject line. You can ask your newsagent to place a regular order for you so you can pick up your issues from them. If you need back copies you can ask your newsagent to order them for you or just contact our Customer Services Team. Don't forget, if you take out a subscription issues will be delivered to your door free of charge and you will receive 6 fantastic subscription gifts! Full details are given on the subscribe page. To order back copies, please contact our Customer Services Team on 0344 472 5219 or email [email protected] Please note that it can take up to 21 days to deliver your back copies. You will start paying the extra £1 from issue 2 onwards, if you start your subscription at a later issue you just have to pay an additional £1 per issue for the issues you have missed. No, you will not be refunded.